I may now have beautifully manicured nails without having to visit a nail parlour. But the truth is.. I don’t often go to salons to have my nails manicured. I like doing my own manicure instead. 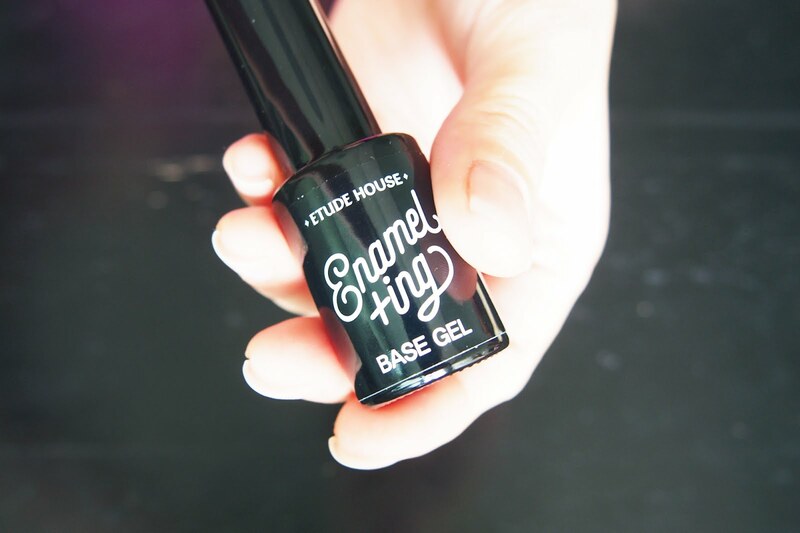 Thankfully, ETUDE HOUSE presented a revolutionary new concept in DIY manicures, Enamelting Gel Nails. Perfect for me, right? In case you’ve already read my Etude House haul .. you know that I’ve already got some Etude’s Enamelting Gel Nails goodies. Honestly, I was supposed to do this review a month ago but I had an accident - sprained my ankle and I started going to fashion school while still working... in short, i’ve become busy.. also, my nails keep on chipping.. bohoo! But I’ve got to share this amazing product with you. Hahaha. So here goes. After cleaning the nails you may use a sanding block to smoothen out the surface of your nails. (I skipped the sanding block though).. 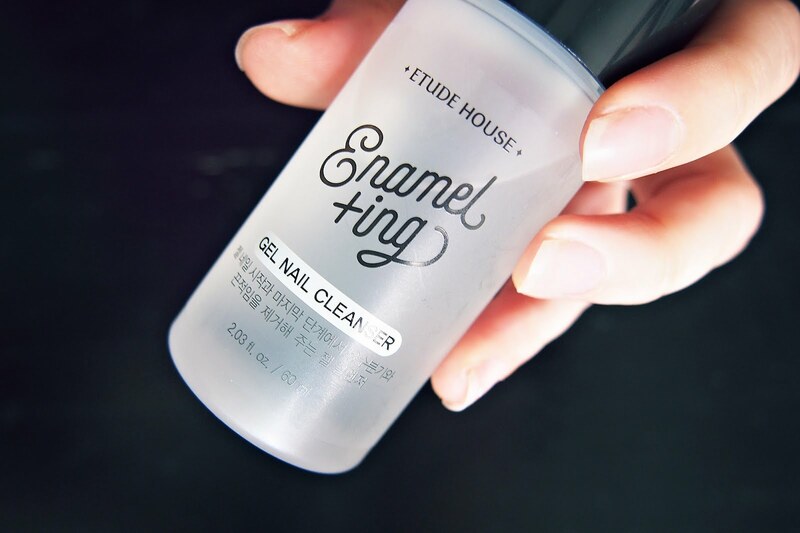 Apply Enamelting Gel Cleanser onto cotton pad and use to remove any oil or moisture on fingernails. 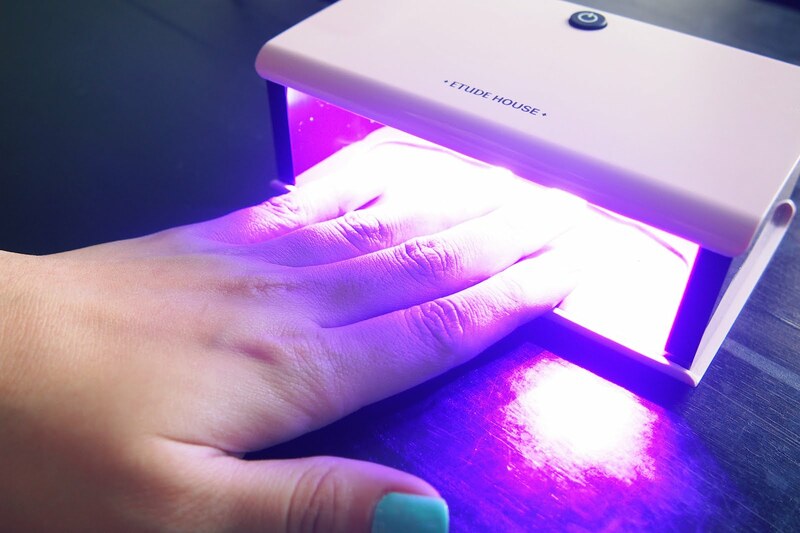 Apply one coat of Base gel and cure under the LED gel lamp for 45 seconds. My right fingernails under the LED Gel lamp. After 45 seconds, wipe fingernails with Enamelting Gel Cleanser to wipe off any stickiness. Not sure if you can see the difference but from the photo above, my nails on the right is glossier than the one on the left. That’s how the Enamelting Base Gel dried up after curing under the gel lamp. Next, apply one coat of gel colour of your choice, I used Enamelting Gel Nails #25 Carbonated Water. And again, cure under the led gel lamp for 45 seconds. You may apply an additional coat if you want a clearer colour. Again, wipe fingernails with Enamelting Gel Cleanser to remove any sticky residue. That’s it – you’re done! I tried to play/add some art to my nail a bit by using the Enamelting Gel Nails #1 Marshmallow, making a chevron design. Apply Gel Cleanser onto cotton pad and use to remove any oil or moisture on fingernails. Apply Base Gel and cure under lamp for 45 seconds. Wipe fingernails with Gel Cleanser to remove any stickiness. Apply color gel once and cure under lamp for 45 seconds again. Repeat this step for clearer color. 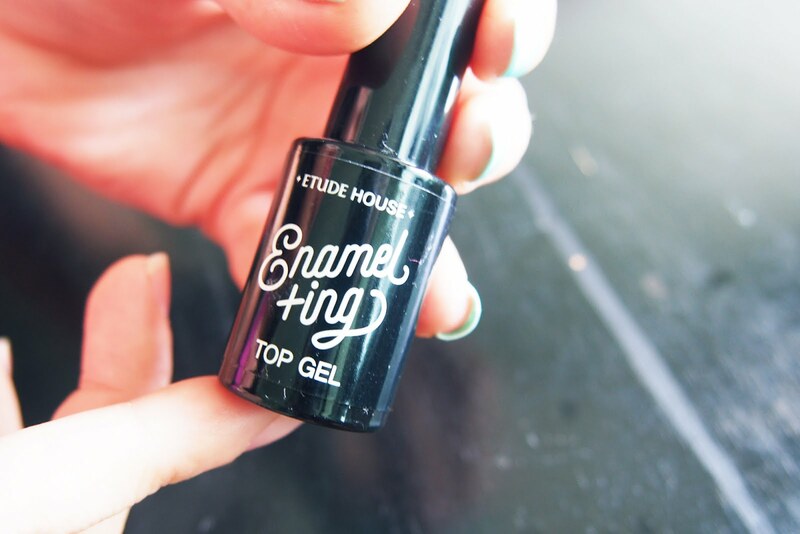 Apply Top Gel onto fingernails done with curing and cure for 45 seconds. Removing the gel nail colour is also simple. 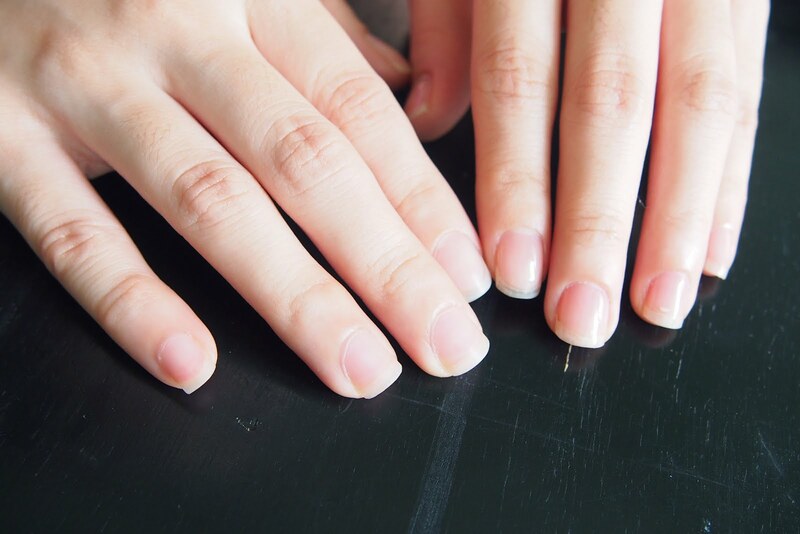 Grind the surface of your nails with a nail file so that the Enamel ting Gel Remover can be more easily absorbed. 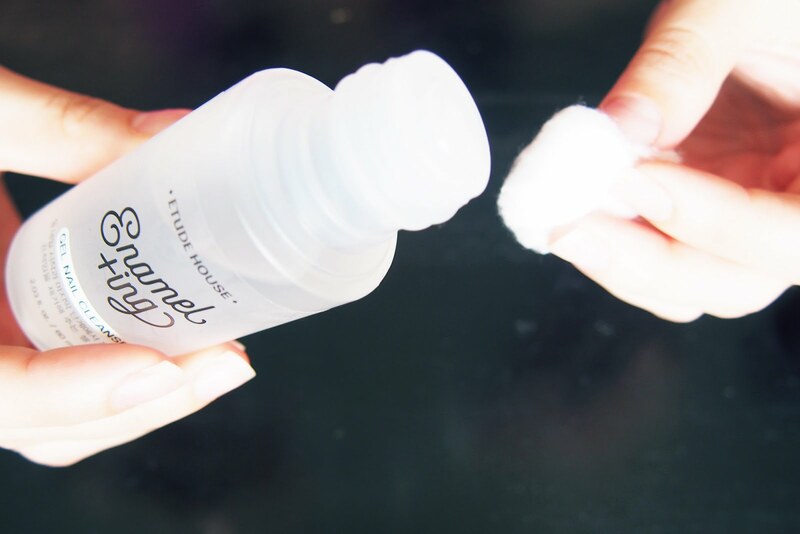 Soak a cotton pad with the Enamelting Gel Remover. Place it on top of your nail then wrap with an aluminum foil. Use the sanding block to remove the remaining gel. I used the Enamelting Gel Remover to fix my pinky nail. I was trying to peel off the excess base gel that was cured up already but 1/8 part of the coat got peeled off as well. So I had to re-do my pinky. What I did was pour some gel remover to a cotton pad and then rubbed my pinky nail like how I would usually do with regular nail polish. I didn’t wrap it in foil so maybe that’s why it was a bit difficult to remove. I used a nail pusher to remove the gel polish. 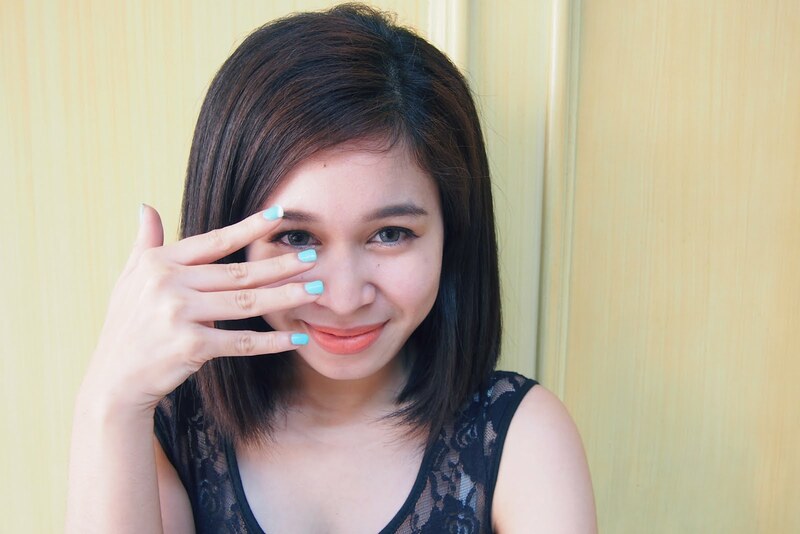 What I have say about Etude House’s Enamelting Gel Nails? 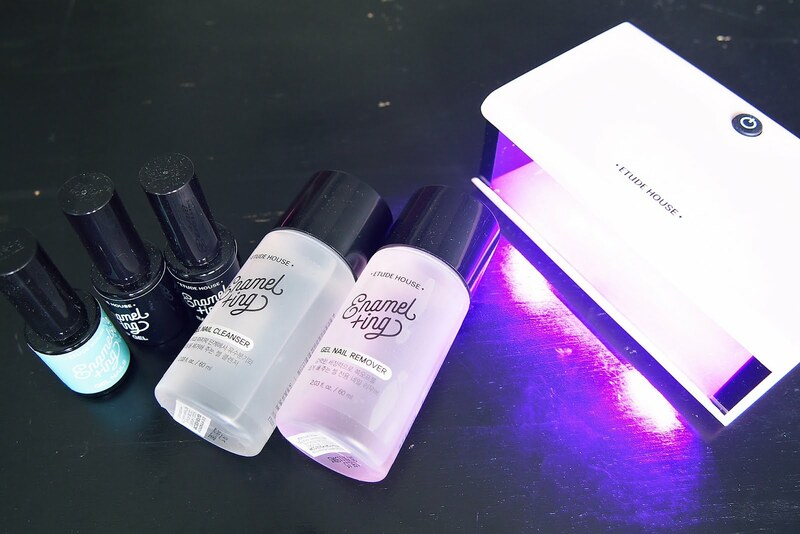 Enamelting Gel Nails is so easy to use, and the gel lamp by the way turns off on its own for I guess 45 seconds since that’s how long Etude told us to place our fingernails under the lamp. 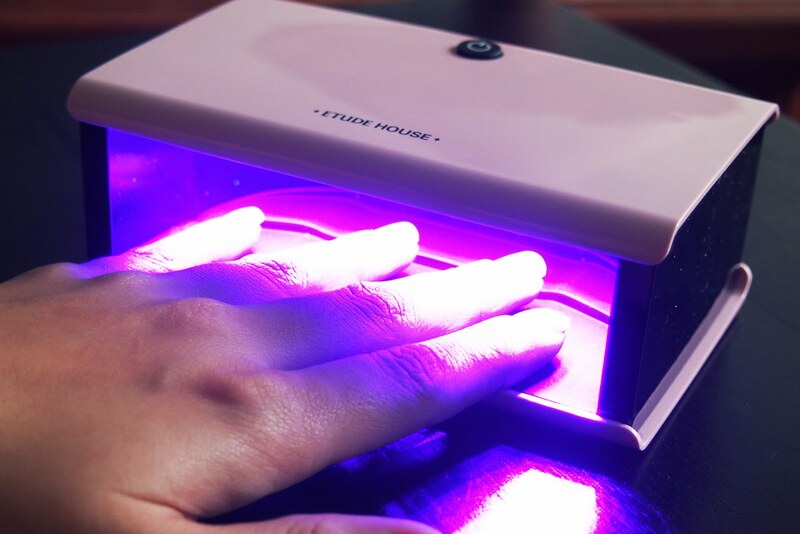 It’s cool too, atleast I won’t be worried of placing my fingernails under the led light for too long or too short. There’s also a huge selection of colours.. They also have Enamelting Gel Nails that have glitter, stars, confetti looking thingy.. I don’t know what they’re called, sorry T_T. I wanna try those! Sadly... My nail polish didn’t survive the 1 week test. I saw two of my fingernails chip while I was doing my makeup. So I probably hurt it while opening makeup stuff. I was expecting for it to last atleast two weeks but it was just on it’s third/fourth day when it died. Lol. Surprisingly, after I did my laundry (okay, i handwash my own clothes..) the nail polishes didn’t bulge. No chipping. Look! I was able to peel off the gel polish easily. It’s probably due to contact with the laundry detergent or the fabric conditioner. I have the strong feeling that it’s due to the fabric con. Obviously I peeled off all the polish from my fingernails. Despite what happened... I’m still in love with the Etude House’s Enamelting Gel Nails (it’s really glossy). I’ve already painted my nails again (see it here) and will give it another try. Hope it stays for 1-2 weeks or more. I will also try to see if my ‘discovery’ will work when I remove my enamelting gel painted fingernails.